The process involved a series of events and activities at multiple levels of engagement, including workshops with grassroots organisations (3) and field meetings with community women at village level (15) to produce a “Marathmoli Manifesto”. The draft Manifesto document was translated from English into Marathi. Effort was also made to contextualise the themes to relate to local realities. In addition to the STEPS draft Manifesto, the Marathmoli team also spoke about the Indian ‘Knowledge Swaraj’ Manifesto on Science and Technology Policy, developed by Knowledge in Civil Society. In developing a Manifesto that represented the realities of Indian women, Marathmoli focused on the 3Ds concept from the STEPS Manifesto, and drew on the concept of cognitive justice presented in the ‘Knowledge Swaraj’ document but thought it necessary to frame these in the feminist context. Giving a historical overview of the growth of modern science and technology in Europe, Marathmoli’s Manifesto located the devaluation of experiential knowledge, especially of women and other marginalised communities, and the violence of science and technology innovation in the systemic processes of the ideology of caste, colonialisation, patriarchy and market-based globalisation. Marathmoli conducted a workshop with 15 activists representing two grassroots organisations in Sangamner district, Maharashtra State. These were Yuva Mitra (Friends of Youth) and Lokpanchayat (People’s Government). A document to help demystify science and technology in the local language was circulated to the organisations before the workshop. The STEPS Manifesto was presented in the local language, Marathi, and discussions followed, leading into the field meetings. Lok Panchayat conducted seven meetings with Self Help Groups (SHGs) across different classes in villages Kurkundi, Pokhari Baleshwar, Sangamner Khurd, Ghulewadi and Nimaj, focusing on the role of technological innovation in reducing women’s labour. 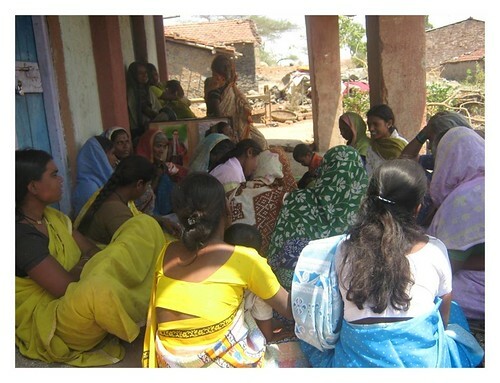 They developed a questionnaire and organised discussions around the schedule of women’s workday. Yuva Mitra conducted meetings with community women in the four villages of Vadgaon, Adwadi, Bhatwadi and Jamgaon, discussing issues including the neglect of women’s technology needs for reducing work burden, as well as the devaluation of women’s experiential knowledge. A capacity building workshop was conducted in Chiplun in partnership with Shramik Sahayog. 15 participants, including activists and SHG members participated in the workshop. 4 meetings were conducted with SHGs in 4 different villages, Veheley, Kalkavney, Tivre and Alore in Chiplun Taluka (Block).